History | Custom Inflatables, Inc.
A little Hungarian baby was born in Youngstown, Ohio – October 28, 1957 to be exact. In 1939 Imre and Mary went on their honeymoon. Paddled up the Danube River in a kayak he built and sailed back with the sail she sewed. 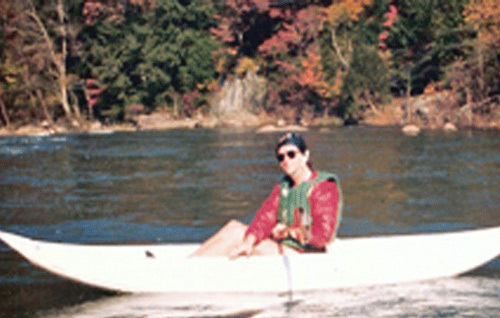 His oldest brother, also named Imre, would go on to become one of the biggest players in the history of commercial rafting in the United States. He would become famous for state of the art trips, guides, equipment, and facilities through his parent company, Appalachian Wildwaters, and the many offspring- often under the umbrella of the ubiquitous USA Raft outposts. In 1969 Attila got his first taste of whitewater and the wild winds of adventure- and he has never quite been the same since then.. In 1976 he joined up with Appalachian Wildwaters fledgling operation at their basecamp on the Cheat River in Albright, West Virginia. He became a primary asset for the company and was soon assuming big responsibilities- like rebuilding the transmission on the 6-pack shuttle truck. In time, a critical issue came to the front ~ and Attila was there to answer the call. It turns out that all the guides and customers were not exactly perfect navigators and- as fate would have it- they occasionally hit rocks- hard. Real hard- and more than once. Sometimes the boats would develop leaks from the hard use on rivers like the Upper Yough- a ClassV run in Maryland which was pioneered commercially by Appalachian Wildwaters- back when it was considered quite possibly foolish. The rafts needed to be repaired and it turns out there is a certain high level of discipline required to properly repair a raft- so the repair holds- for good. Attila was up to the task and took on any challenge that came his way. After the Great Flood on the Cheat River in 1985 a lot of sharp fresh rocks were sprinkled in the way and the repair business cranked up a notch. Attila just did it- and did it well. As Imre developed his repair facilities for his now-burgeoning industry, he wanted to develop a superior inflatable kayak- also know as Duckies- a real favorite among customers on many rivers and an awesome solution for low water blues for the rafts. There was a problem with the industry standard duckies. They were designed and built from mitered segments- much like assembling stove pipe to make the curved shapes happen. This left little corners on the outside and the bottom of the raft to find rocks- and wear out first. Imre and Attila knew there had to be a better way. It was a design issue. So began his design career. He would go on to revolutionize inflatable boat design. The design evolution began with an effort to make a duck that would handle and wear much better. 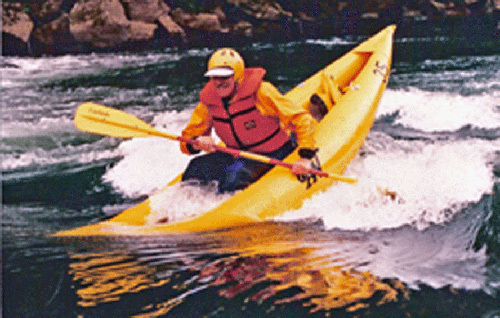 It would be called the Superduck and become a staple in Appalachian Wildwaters fleet for the years to come. Many design options were built and tested. There was a specific design-testing course on the Cheat River Narrows set up so consistent testing could be conduckted. Over 13 designs were built and tested before Imre and Attila were pleased beyond a doubt. Thousands of commercial customers continue the testing to this day- and they all give the same report- inflatable bliss! The kicker is that the Superduck was the first commercially produced un-segmented inflatable boat. Since that time~ the entire industry has come around to preferring the un-segmented designs and most top companies have adopted the design feature because of the unequaled wear and performance advantages. 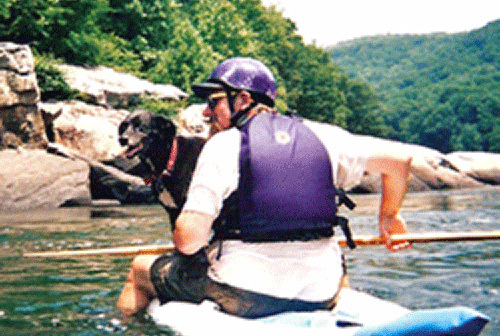 Imre testing a SuperDuck on the Gauley River WV – seems to be generating a smile. Now- armed with an expensive welder and expensive materials ~ Attila could produce the finest new boats in the world and he flourished in this new realm. Custom Inflatables became an official company in 1989. Attila went on to modify the SuperDuck and created the classic ThrillSeeker ducky that year. The ThrillSeeker set performance standards that continue to be the best in the world to this day. In fact, ThrillSeekers have been used to explore and make first descents on many of the Class V steep creeks in West Virginia and many places around the world where people are pushing the limits of how high and steep you can go. 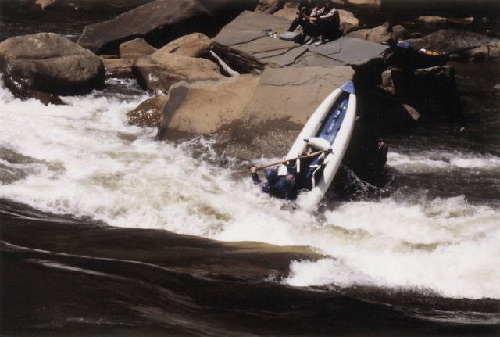 For instance, ThrillSeekers pioneered first descents on what are still considered some of the best runs- such as Elzey Run, Deckers Creek, Red Run, Lick Run- and many more. The Thrillkat line went on to include the ThrillKitty and the SuperKat. And two person models became available and popular. 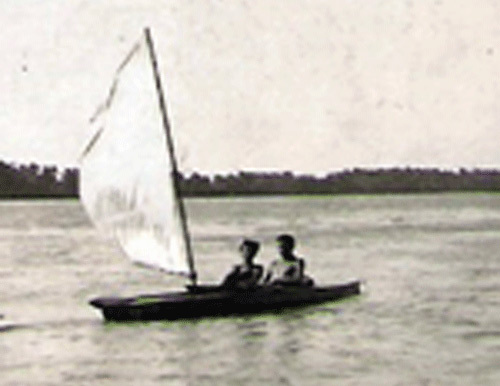 Attila continues to design new boats to this day- as witnessed by the excellent raft designs like the Splash, Reach and Freedom series of rafts. 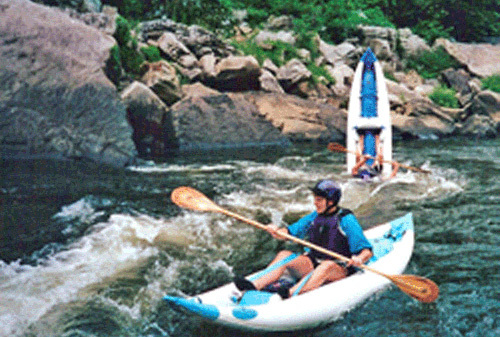 In fact in 2001 the World Rafting Championships were held on the challenging Gauley River in West Virginia and all the competitors raced in Custom Inflatables Splash speedsters. Custom Inflatables rafts have grown to become the raft of choice for discerning commercial outfitters (and individuals) because of their superior design, construction and wear properties. And the warranty is persuasive in and of itself! The history of Custom Inflatables is still unfolding. Custom Inflatables continues to define the cutting edge of high performance inflatables. Our next new design- could be yours! We love to design new boats for new uses. We can design a boat to perform optimally on a specific section of river- with a specific clientele. Give us the test- we are the best! 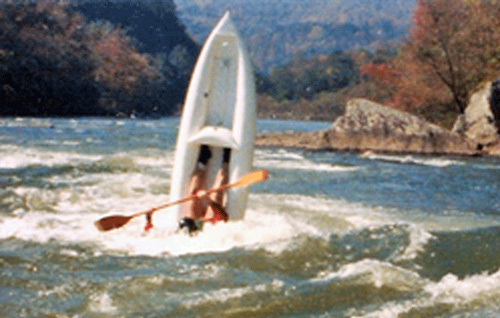 Attila splatting Mindbender Rock on the Cheat River canyon. Have a Custom fun day!